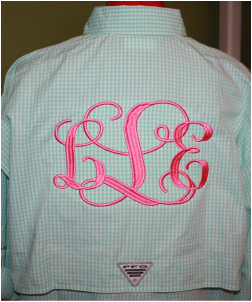 Towels, linens, baby blankets, men's dress shirts, bags and children's clothing are some great things to monogram. Bring the garment to us or we can provide for you through our online catalogs. Please feel free to contact us with any questions you may have.